Eurimages, the European film support fund was founded as a Partial Agreement of the Council of Europe in October 1988. The target of the organization is to support and facilitate the co-production and the distribution of European films and the co-operation of European film professionals. In October 1988, Eurimages had twelve founding members: Belgium, Cyprus, Denmark, France, Germany, Greece, Italy, Luxembourg, Portugal, The Netherlands, Spain and Sweden. Since then twenty-four other countries: Albania, Austria, Bosnia-Herzegovina, Bulgaria, Croatia, Czech Republic, Estonia, Latvia, Lithuania Finland, Hungary Iceland Ireland, Macedonia, Norway, Poland, Rumania, Serbia, Slovakia, Slovenia, Switzerland, Turkey, the Russian Federation and Georgia have joined the Fund. Hungary has been a member state of Eurimages since January 1990 by joining the Fund even before Hungary has become a member of the Council of Europe. Since then, the Fund supported the production of more than hundred co-productions with Hungarian participation. 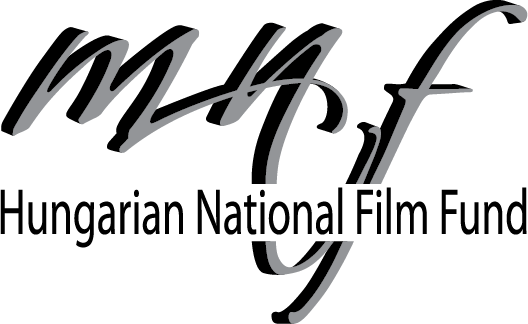 The Hungarian distribution of several hundreds of European films was also supported by the Fund. The steering body of Eurimages is The Board of Management, where each Member State is represented by two delegates. These Representatives are professionals who have in-depth knowledge of both the European film industry and the filmmaking of their home countries. The Representatives usually have a background in film dramaturgy and film production or financing. The Board of Management determinates the policy of the Fund, the conditions of support and decides on the applications. The decisions are based on recommendations prepared by expert committees and / or on analyses of external experts. Since 2009, the Members of the Board meet four times a year. Between these Board Meetings, the President and the Secretariat ensures the continuity of the Fund’s activities. Eurimages is financed by contributions of the Member States (approx. 90%) and by the repayments of the supports (approx. 10%). The annual budget of the Fund is approx. 20 Million €, of which approx 80% is spent on the support of co-productions. The operational costs of the Secretariat based in Strasbourg represent ca. 11% of the annual budget. The working languages of Eurimages are English and French, the applications can be submitted in these languages. The central website of the Fund is: www.coe.int/eurimages. It provides all the necessary information about the functioning, the support policy and funding history of the Fund.